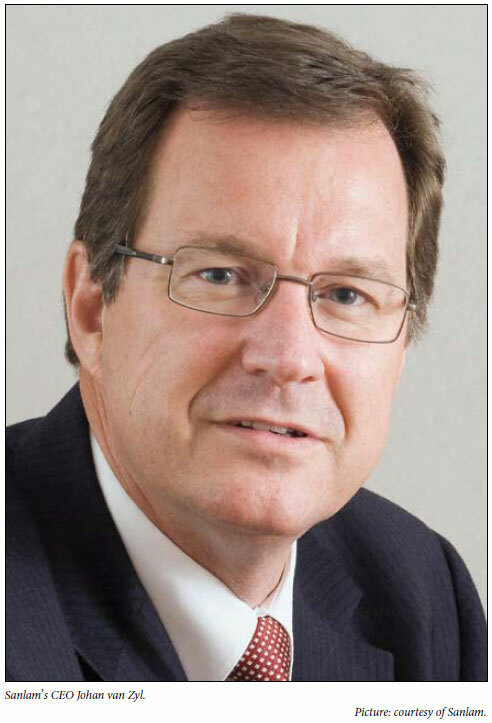 Sanlam's CEO, Johan van Zyl, has admitted that his company made a 'mistake' in holding onto what grew into about R600 million in reserves for two major medical aids it once owned and ran, but denied being deliberately obstructive towards them in the courts. He was responding to claims by Leon Bester, CEO of Selfmed, which together with TopMed launched proceedings against Sanlam 8 years ago after it divested itself of the companies but held onto their considerable reserves. This led to widespread reports that Sanlam had 'stripped' or 'plundered' the smaller companies along the controversial lines of several other retirement funds it managed, but Van Zyl vehemently denied this. This January three retired judges, on appeal arbitration, ruled in favour of the smaller companies, finding that Sanlam had from May 1975 until December 1997 conducted business in a 'bona fide but mistaken belief that the businesses were its own'. Judges Gerald Friedman, Johan Conradie and Peet Nienaber (a former life assurance ombudsman) ruled that in terms of the changed legislation Sanlam were acting as agents for the companies. This mistaken belief arose from legal exemptions granted in 1975 to Sanlam by the Registrar of Medical Schemes which it believed to be valid - but were not. Van Zyl told Izindaba: 'Throughout that period we asked the Registrar six or seven times if the exemptions were valid and got the OK on them'. Although the ruling itself made details of the award confidential, Van Zyl put figures to the award split, but in historical terms, revealing that TopMed got R200 million and Selfmed R56 million. He explained that when interest was added over the 22-year period, the joint amount totalled R600 million, making the interest more than the principal amount. One leak to MoneyWeb put the final payments as R458 million to TopMed and R129 million to Selfmed (a total of R587 million). Bester said he would 'never conduct business towards his members the way Sanlam did to theirs' (a large portion of the medical aid clients are Sanlam employees and in fact ran the medical aid companies under the Sanmed umbrella in Sanlam). 'I was the one who signed the affidavits as chair of the Selfmed board of trustees and was then made aware of what had happened. I sat through every minute of every hour of every day, so sure it's emotional and personal,' he added. Bester said both small medical aids had been mutual organisations and 'if Sanlam made money out of that based on some piece of legislation then surely it belongs to the members of Sanlam? How is it possible to be a mutual organisation for the benefit of members and then they don't get it? Suddenly the mutuality goes for a ball of chalk and it's not for the benefit of the members,' a still angry Bester told Izindaba. Van Zyl said the money (TopMed and Selfmed claimed for R1.5 billion) was never taken out of Sanmed because of the dispute and denied using the courts to delay, obstruct or avoid payment. 'I would have come to the party far quicker except that it was a really big claim dating back to 1972 and earlier, and none of us had all the facts. The people responsible for the mistakes were those who took the premiums - we had a health business which we sold off and six years later those two schemes, which were a big part, came back to us. All those were our staff. The people who claimed were the people, who before we sold, ran our business,' he reiterated. 'So it's a very difficult issue. We had the books, facts and figures - but it was very difficult to discern what the actual facts were so we had to go through the legal process,' he said. Legal costs, amounting to well over R3 million, were awarded to the medical aid companies. Van Zyl said Sanlam de-mutualised in 1998 - meaning that all past profits were given to the people who owned the company. That windfall value had been 'dished out to all the folk who did business with us - it's not as if the company now sits with the stuff - to throw mud in retrospect is invidious'. Sanlam had appealed against a verdict favouring the medical aids because 'the logical question was, this was a hell of a long time. You (the Sanlam employees and managers of Sanmed) were there all the time, you should have known whether this was still valid or not. If the exemption had expired, Sanlam wouldn't want to be seen as taking people's money. It's a big number, we wanted an appeal to make sure the question was right, then we said OK, if we were your agents, let's reconstruct the books; there was no agreement for admin expenses, for example: we'd like a reasonable remuneration even if it was to run things on their behalf. So that was worked in, as was income tax and we argued that if you took it all into account, the figure comes to zero.' Van Zyl said that what Sanlam did was at first legally authorised but when the 1975 Medical Aids Fund Act came in, 'that's when the mistake was made'. 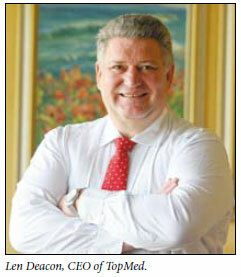 Len Deacon, who became principal officer of TopMed just over 2 years ago, said what Sanlam did was not perverse. 'They really believed they were acting correctly for their own account and not as our agents. We believed they were contracted as our agents and operating for our account. When in 1998 two boards of trustees were created independentlyofSanlamundermyleadership as the CEO/PO of both schemes, we found we had zero reserves and questioned that. They said we had no right to the reserves created over many years by our members and we said no ways, you were acting as an agent!' He promised his membership (26 500 beneficiaries), which atrophied along with Selfmed after the demarcation of fiduciary responsibilities and independence, that contributions would be kept down as much as possible and the new-found resources used to better manage health risks for the benefit of existing members. His membership has a 40-plus age profile. Bester said the security of his 19 500 beneficiaries, most of whom had 'stuck with the company through thick and thin', was paramount. It was 'too early' to say whether they'd get better benefits but a probe of how much new investment income would generate would determine what, if anything, would be passed on to members. 'We can't afford to be too splashy 'coz you can wipe out a surplus in 4 -5 years and distort your base beyond repair,' he stressed. TopMed now has over 150% in reserves and Selfmed about 95%, making them the envy of most of their competitors. Van Zyl told Izindaba that, at the time of going to print, Sanlam was wrapping up final negotiations around indemnifying Sanlam and associated companies and ensuring the claim only went against the dormant Sanmed in return for a sweeter deal. 'We're seeing if we can't help them on asset management because if we pay cash they'll have to buy stocks and bonds and there's a lot of money in those already. We might gain them an extra five per cent which is about an extra R50 million. It's been a long process and purely in hindsight, the moment you get the answer it seems obvious,' he quipped.